Ryan Insulation also runs a seasonal ice dam removal & prevention crew. 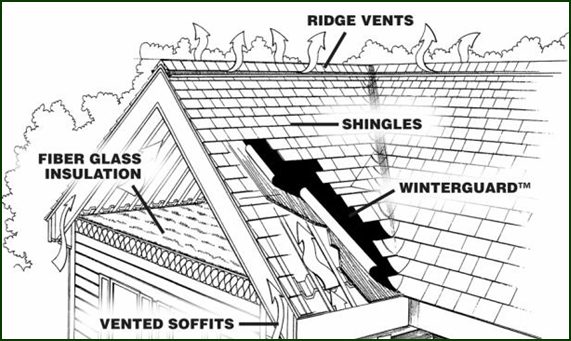 When heat from inside your home escapes into the attic and warms your roof's decking ice dams can form. The melting and refreezing run off can create ice dams that grow around your home's different eaves and gutters. 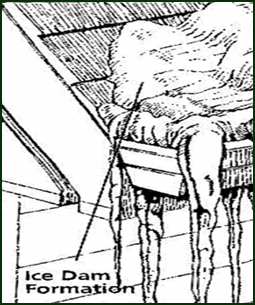 Ice dams can be a very serious problem, and can leave your roof in tatters. Ryan Insulation offers ice dam removal and prevention. Don't keep paying the same company year after year to steam ice dams off your roof, when you can call Ryan Insulation to put in place an ice dam prevention plan that works. call or contact us today for your free estimate. Ryan Insulation offers the following Ice Dam services to Rochester and the surrounding area.